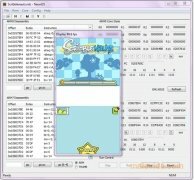 NeonDS is one of the many emulators that allow us to play Nintendo DS games. The portable game console by Nintendo has been a real revolution, being a great attraction and obtaining the possibility to play dozens of really interesting games and offering an innovating way to play. 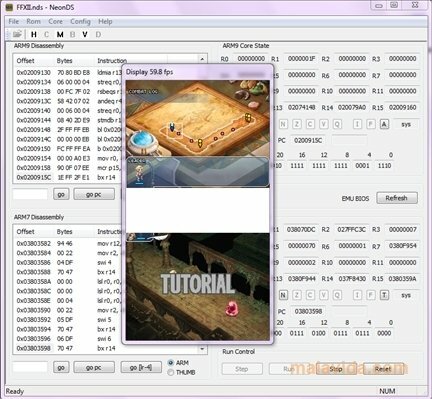 That's why emulators like this one try to port their gaming experience to our computer. 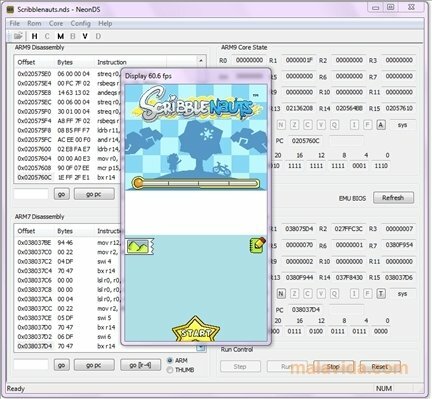 The optimization shown by NeonDS is noteworthy, obtaining up to 60 FPS, even on more or less old computers. Furthermore, its rendering system is a great achievement optimized for OpenGL 2.0, even allowing us to capture video. 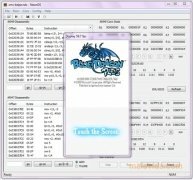 Logically, the emulator doesn't offer compatibility with the full Nintendo DS game catalog, but it does have a really interesting list of compatible games. Some have a low frame rate, others don't play sound, but the majority work really well. The use of tactile screens has been solved by means of using the mouse. Both screens are shown, the buttons will be pressed on the keyboard and the tactile screen will be used virtually. 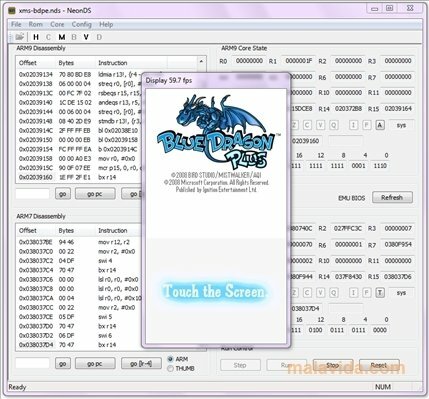 If you like any of the Nintendo DS games and you want to play them on your PC, NeonDS is one of the best alternatives.